July is a one of the best months to see and hear first year Little Owls. It is hugely rewarding to spot juveniles close to nest sites as up to a third are thought to perish during the high-risk fledging period. They cannot fly when they first leave their nest and spend a period of time scrambling amongst low level vegetation and along tree branches. This makes them vulnerable to predation by mammals and other raptors, even with their ongoing parental care. It is good to see those that are one step closer to independence. Many of you have spotted juvenile Little Owls and have kindly reported your sightings to the UK Little Owl Project. Thank you for your ongoing support. Please read of our Little Owl Spotters' Guide if you are keen to spot this owl, but need help to get started. We give advice on how to distinguish between juvenile and adult Little Owls, including photo examples by Andy Rouse. Juvenile Little Owls are very vocal at the time of year and if they are around, you can hear and see them at twilight. We recommend taking a stroll at this magical time of day, especially if the weather is still, warm and dry. Finally, we have received 25 emails from people who are lucky enough to have Little Owls nesting in their gardens and stables. Many have spotted juveniles in 2015 - this is fantastic! Some nests are in natural cavities and others in nest boxes. 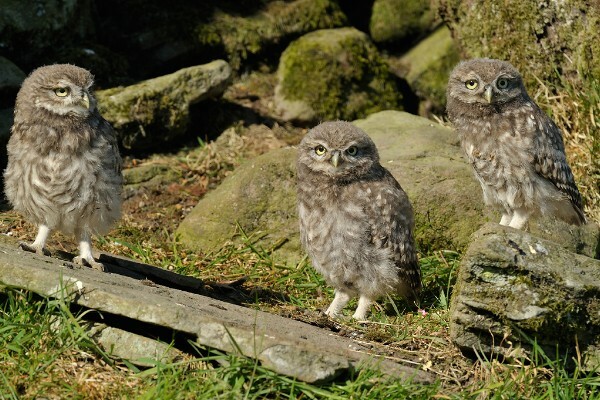 We are keen to encourage more people to take part in the British Trust for Ornithology's Nest Record Scheme, as it helps to gather vital information on the breeding success of Little Owl nests. You can find out about this scheme here.